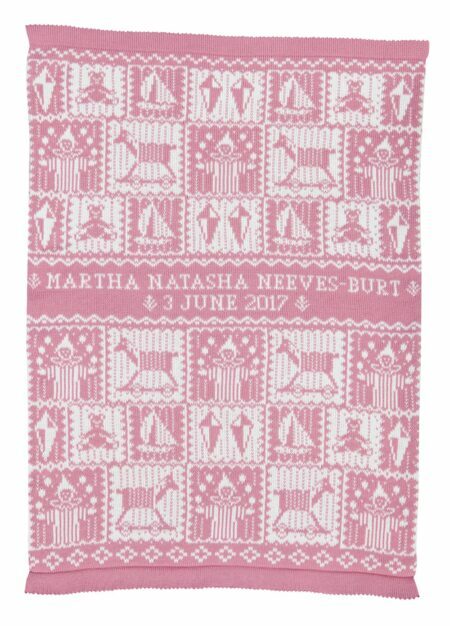 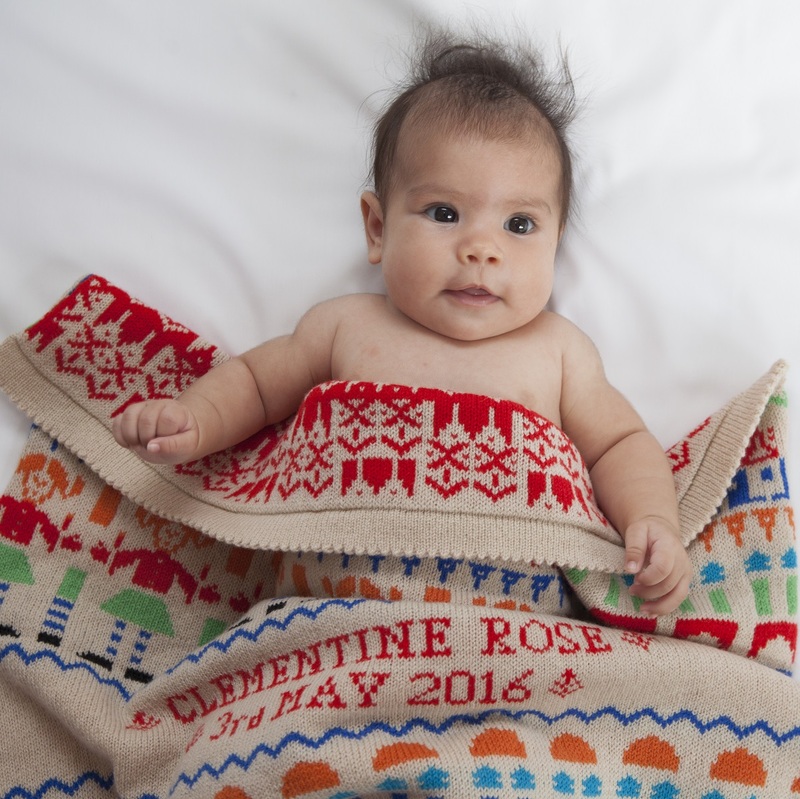 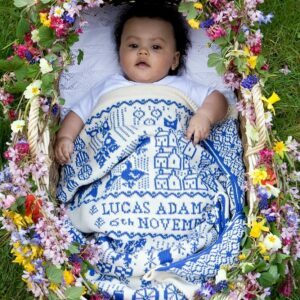 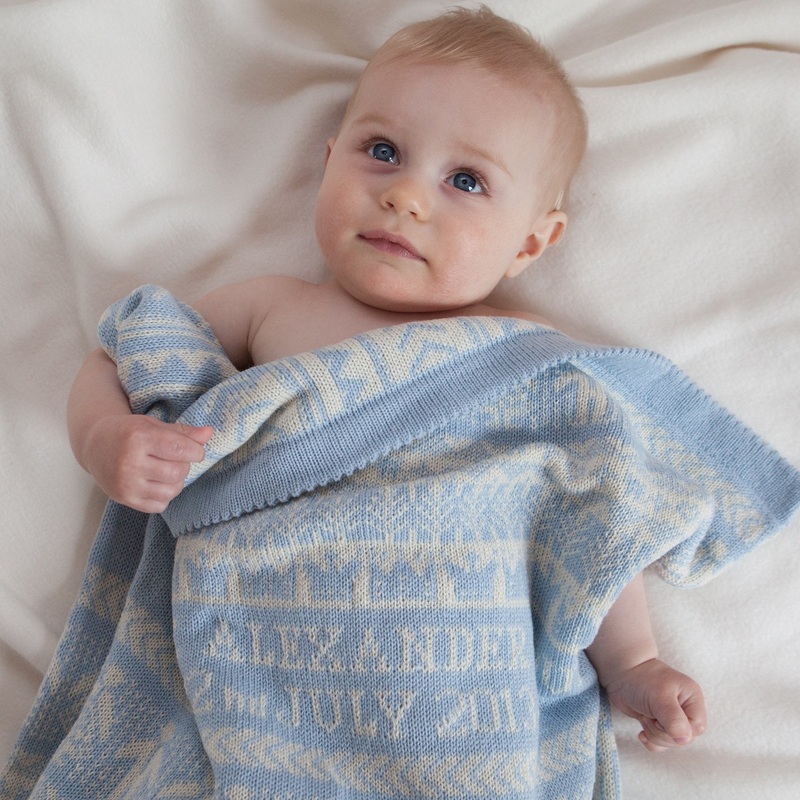 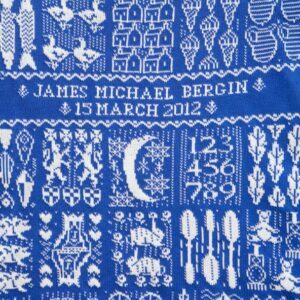 This playful blanket is knitted in a fair isle design featuring traditional childhood toys alongside baby’s names and date of birth. 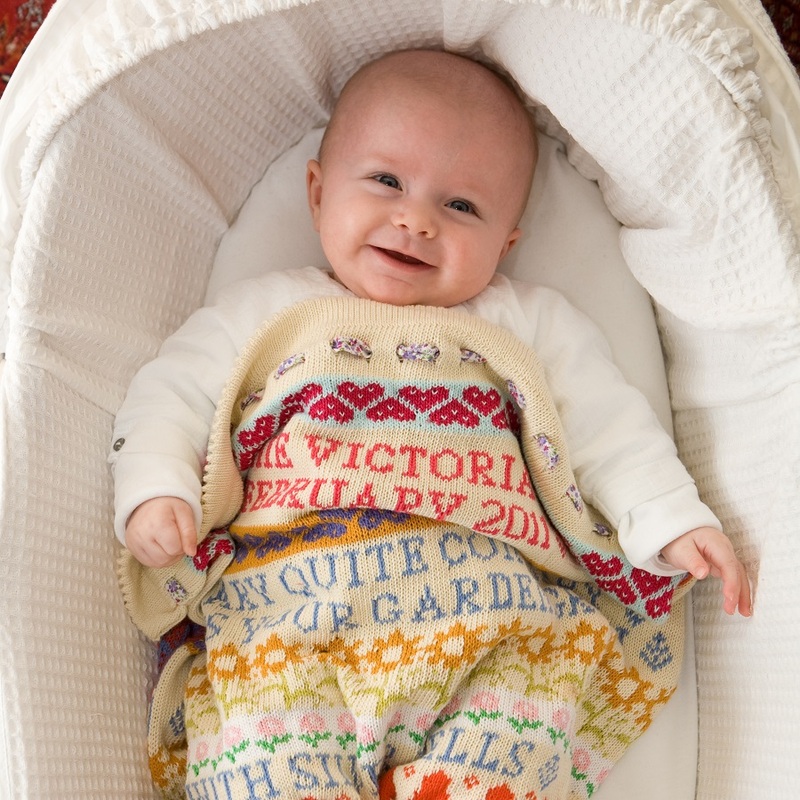 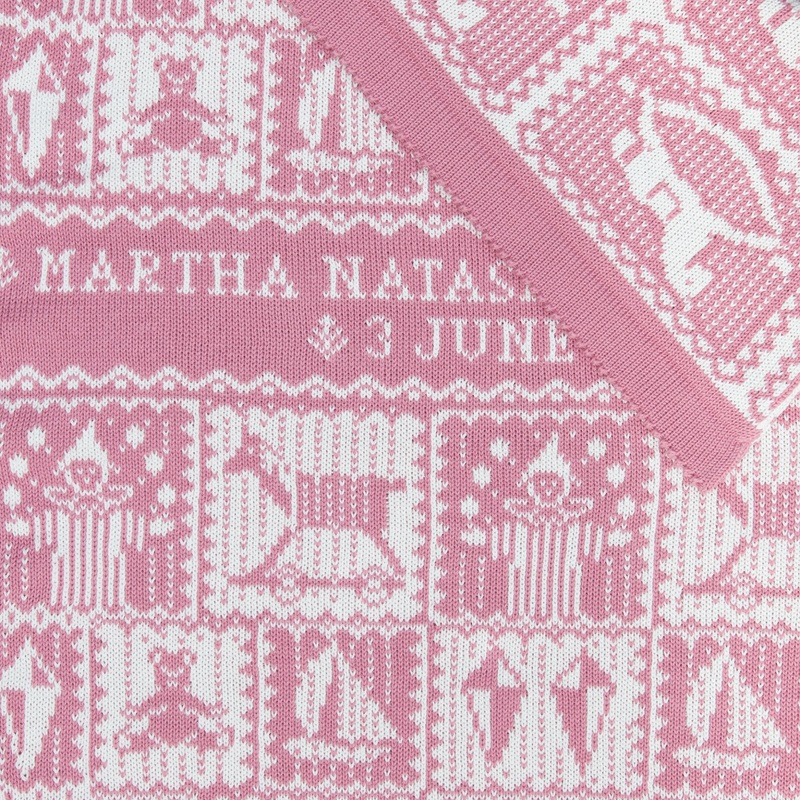 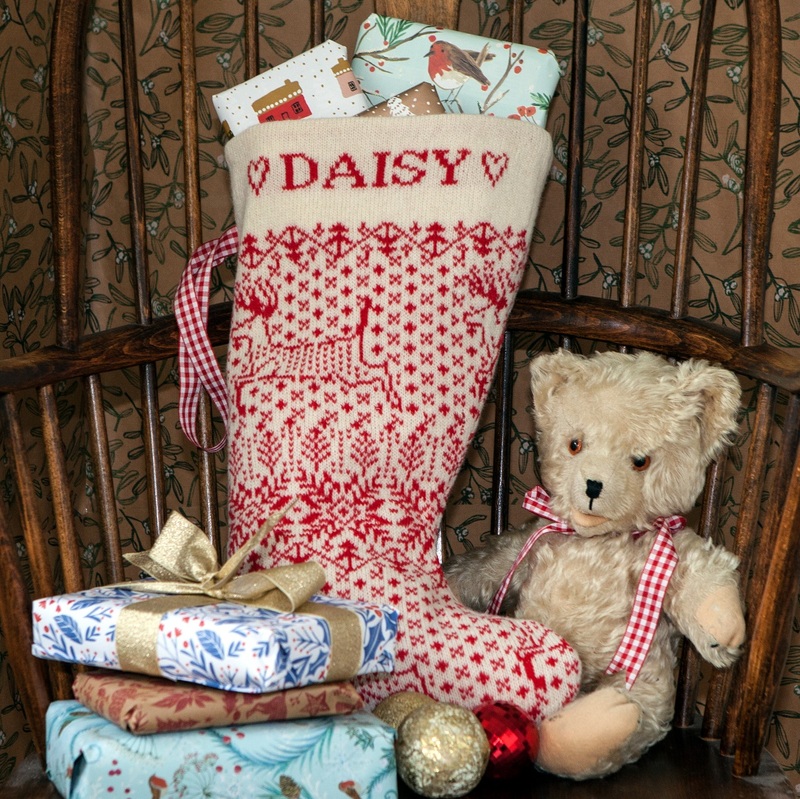 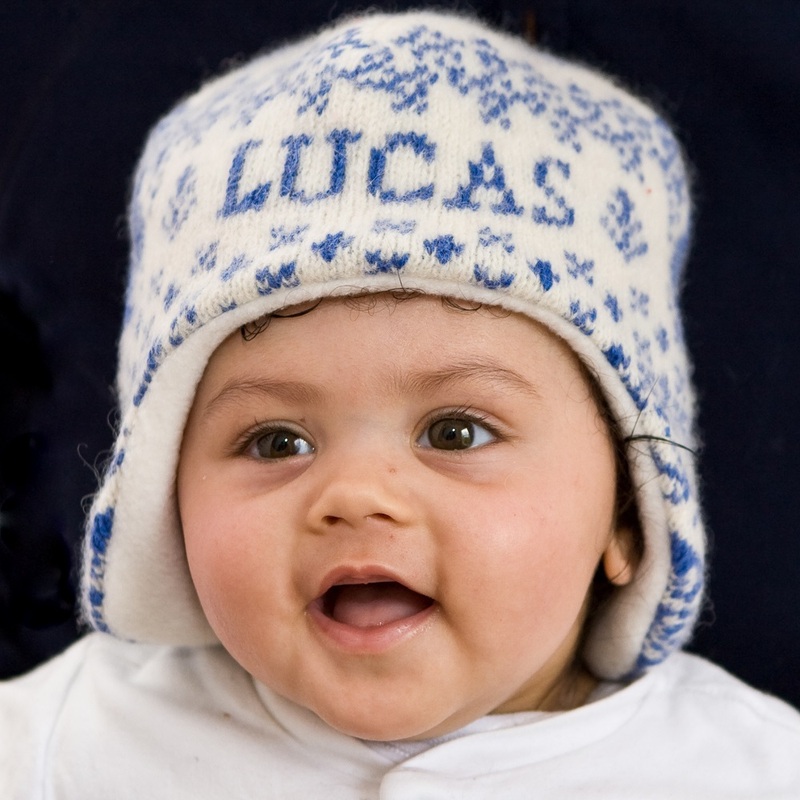 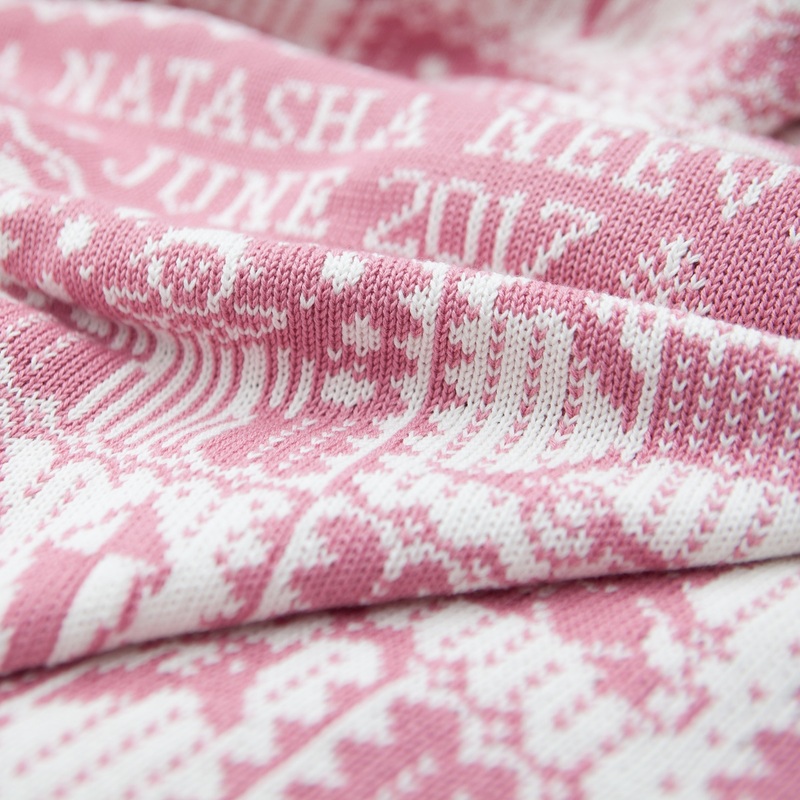 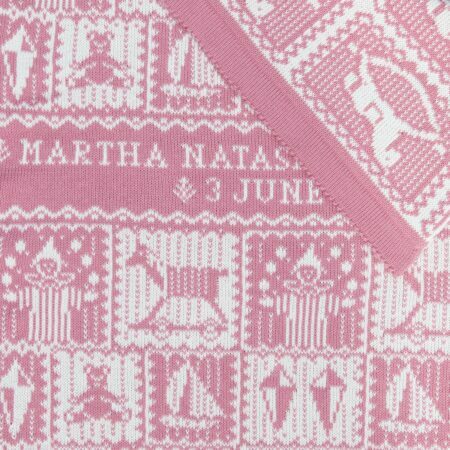 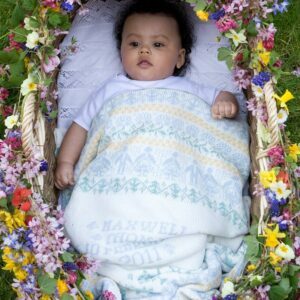 The Playtime blanket would make a very special gift for a new baby – sure to be loved and treasured for years to come. 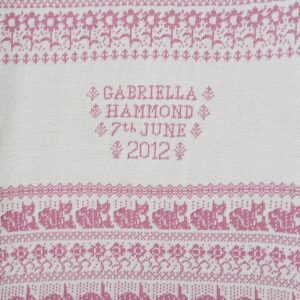 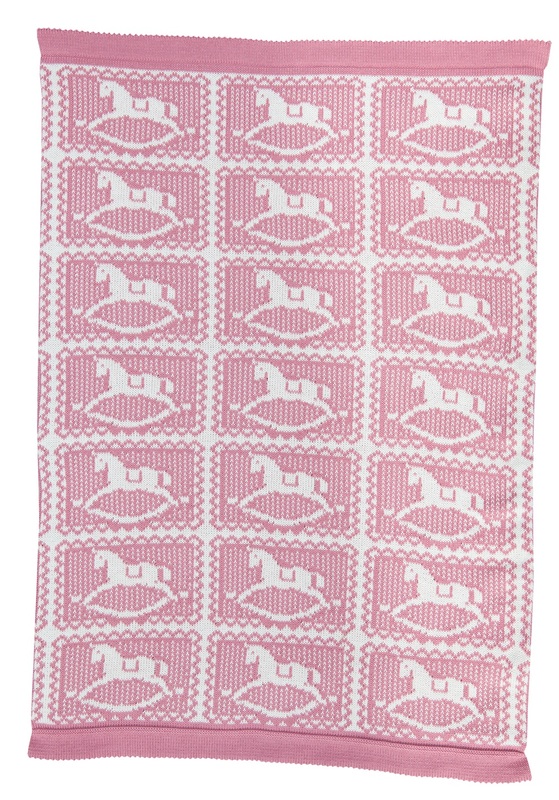 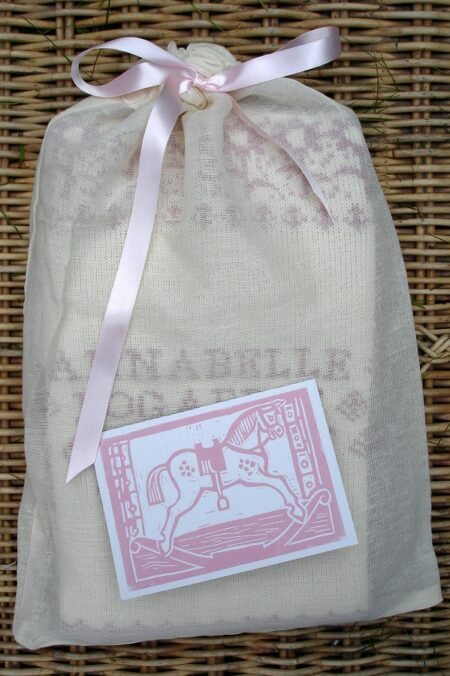 The Blickling colourway is knitted in dusky pink and cream.